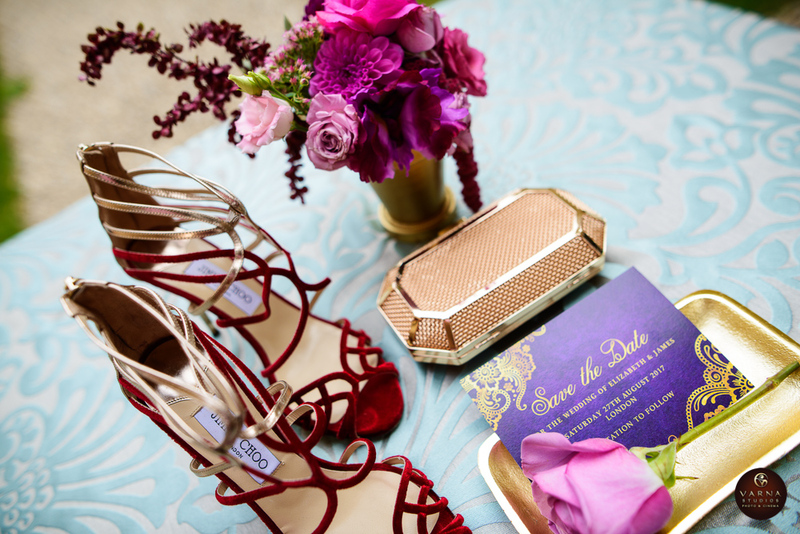 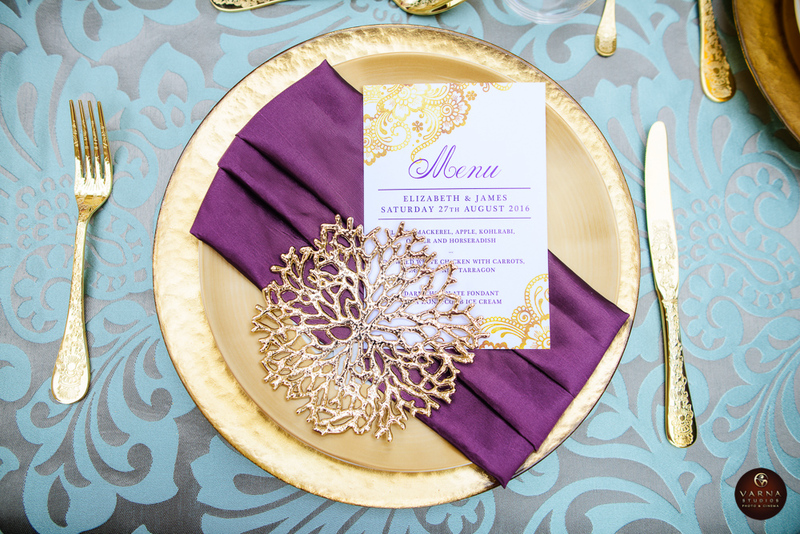 A jewel tone wedding color palette is totally under-rated in our humble opinion. 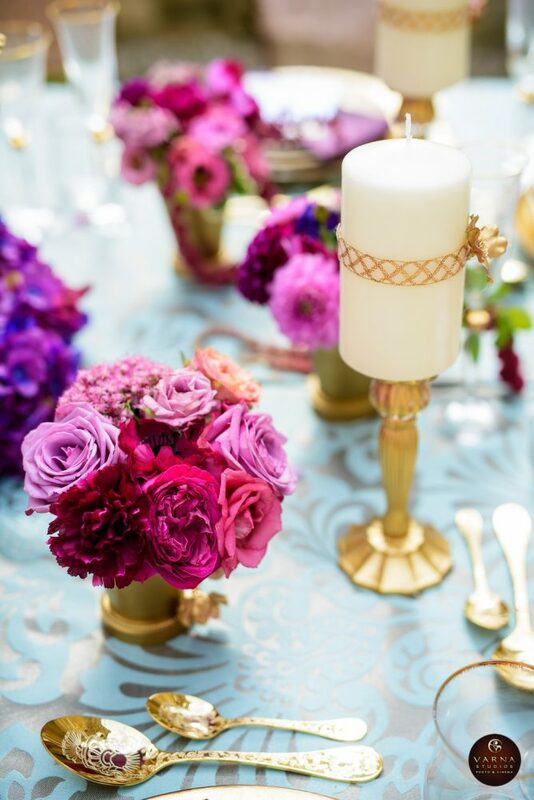 These color crushing hues are ones we can’t get enough ofwith their delicious rich and bold combinations that make a space pop. 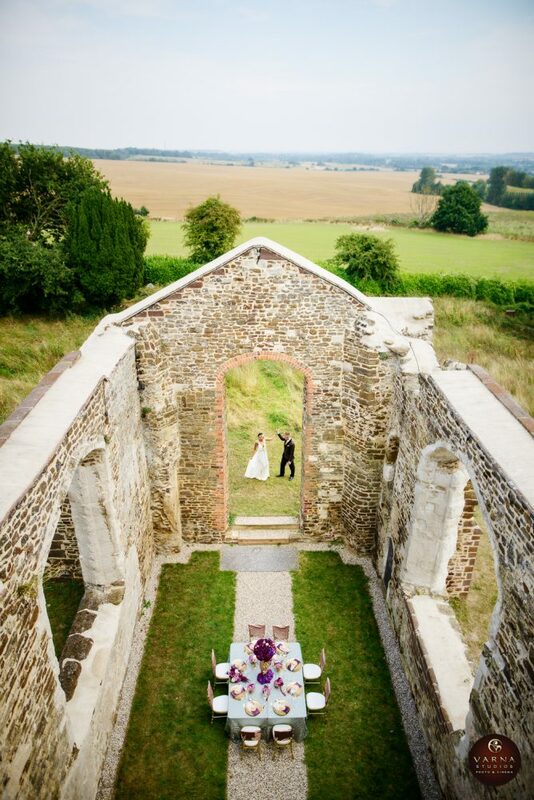 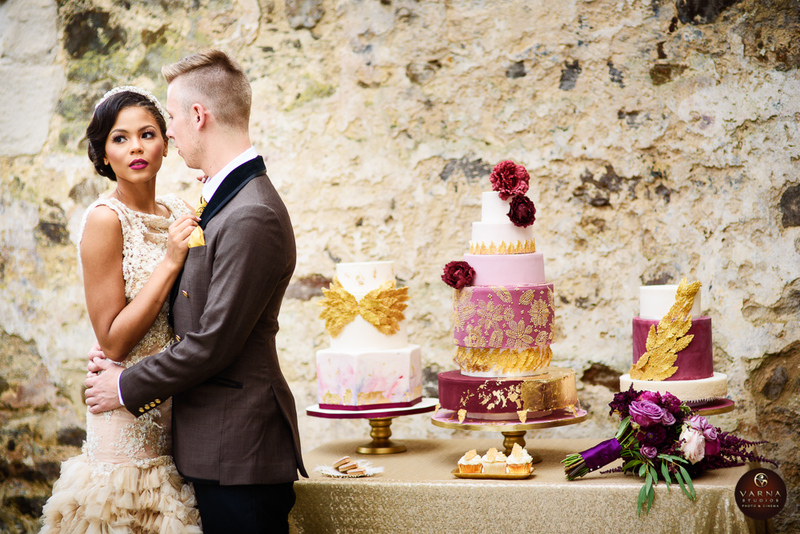 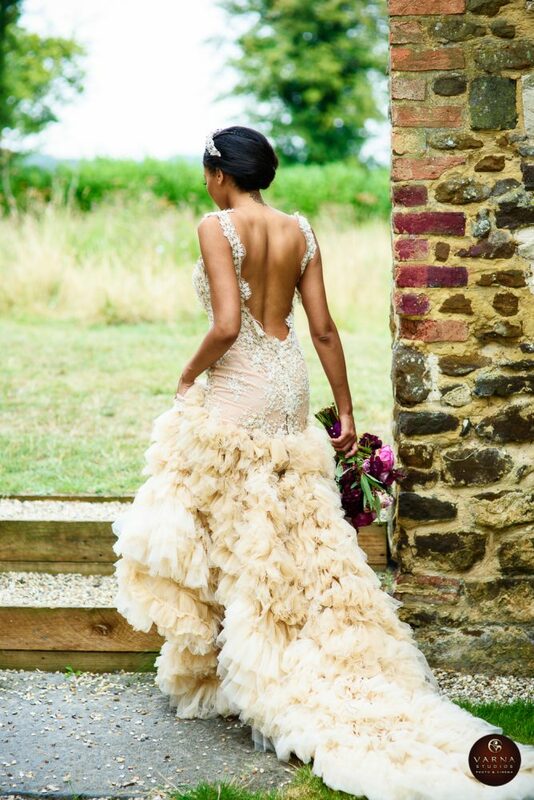 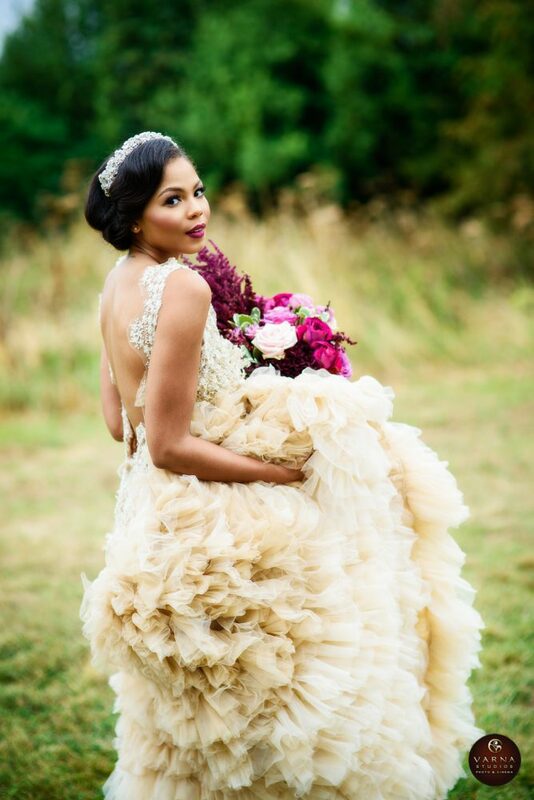 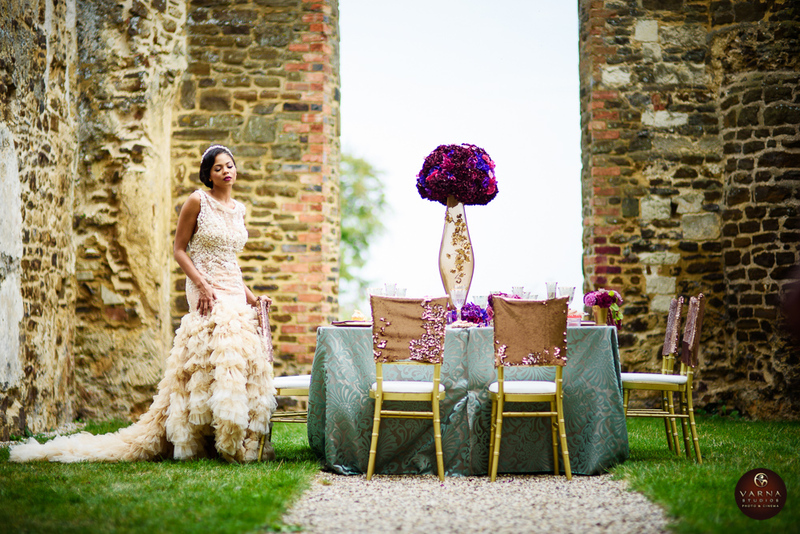 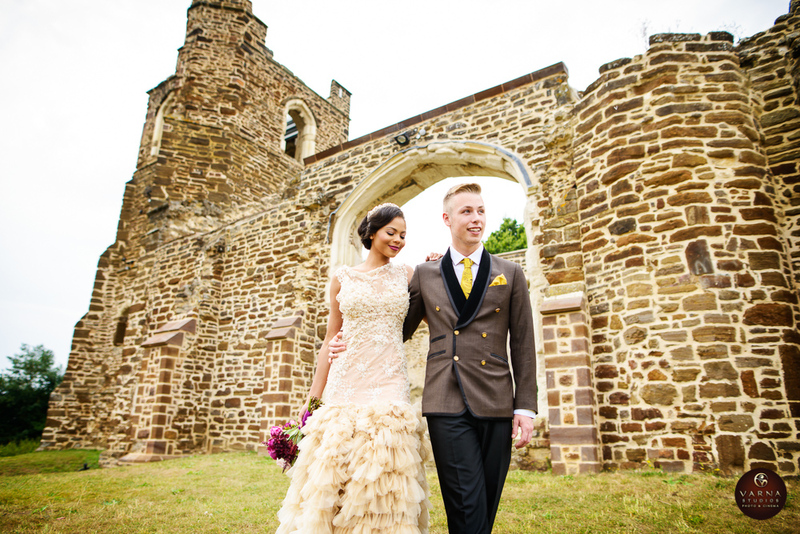 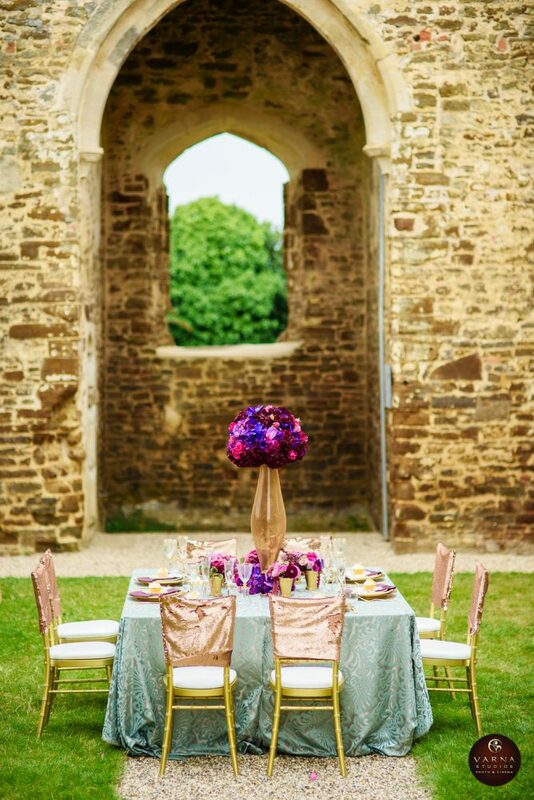 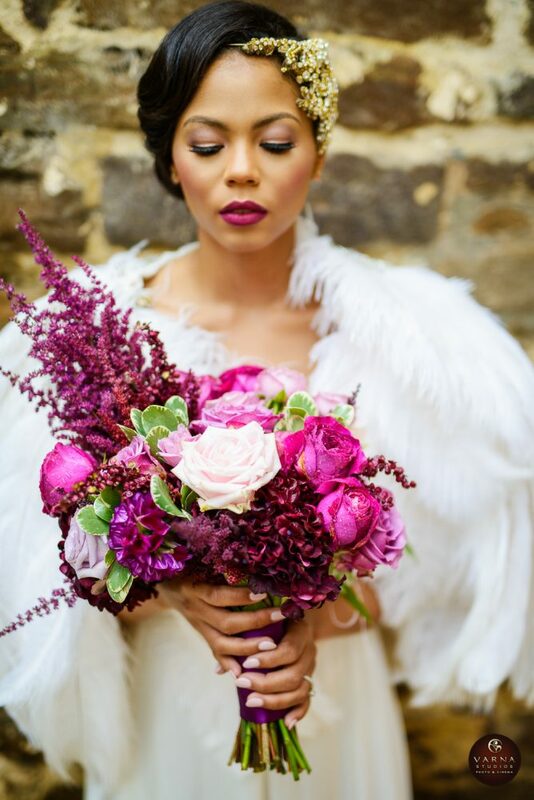 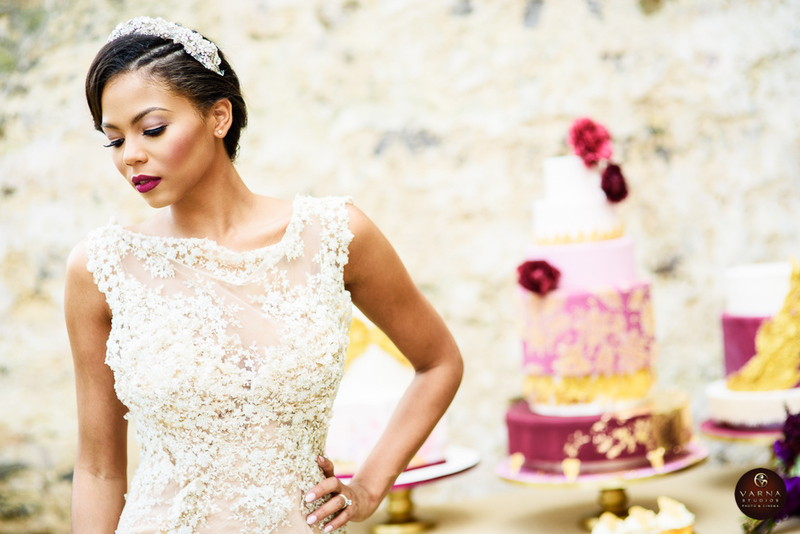 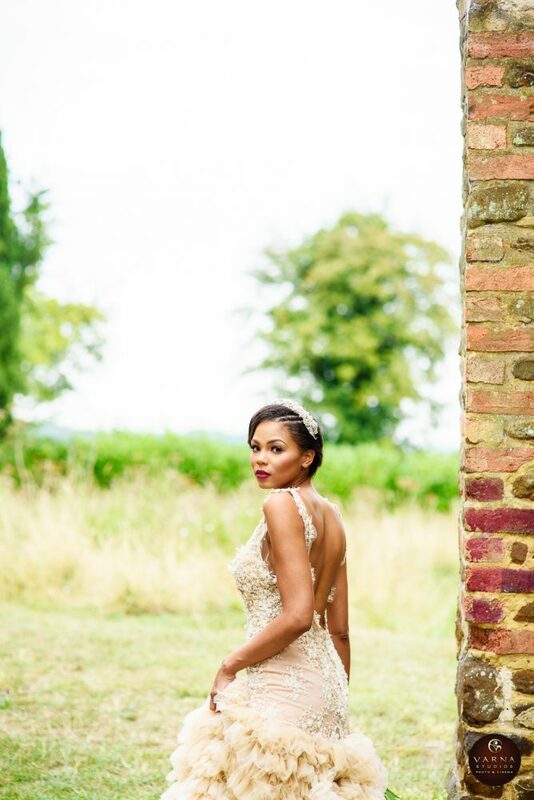 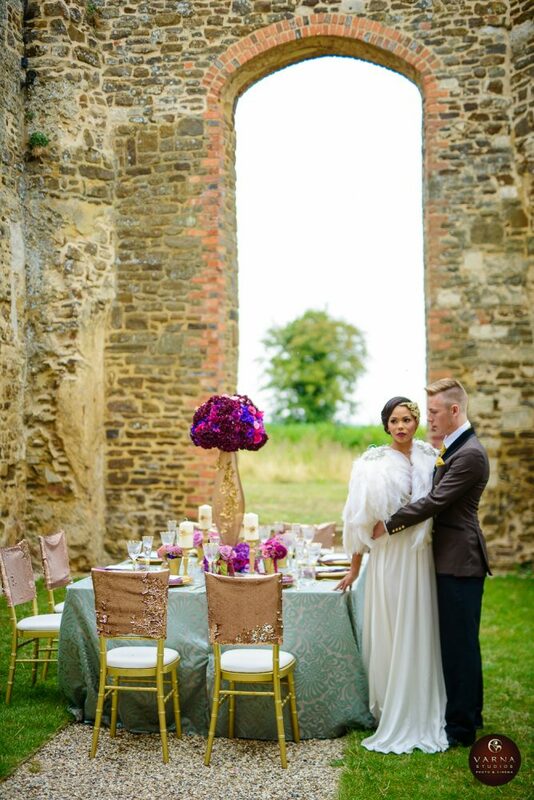 Without a neutral shade in sight, Anaiah Grace planned and designed a love affair that screams opulence at this fortress in the United Kingdom. 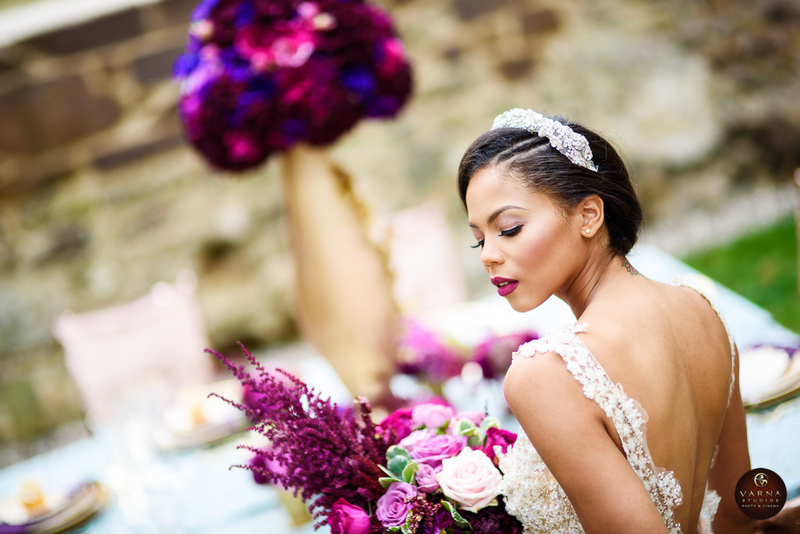 Using an incredible mixture of berry shades loaded with golden highlights and a dash of turquoise, this stunning editorial shows you just how to pull off a jewel tone wedding color palette for your own dream day. 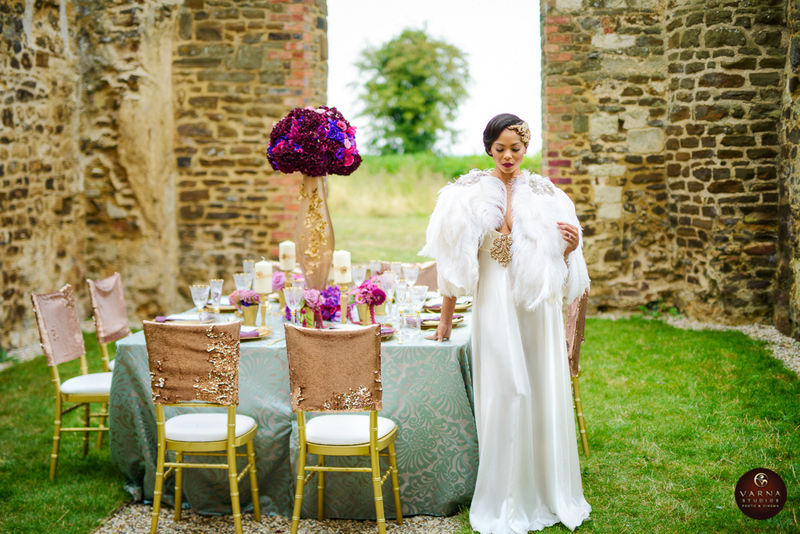 The only white in sight is the bride’s magnificent Ruth Milliam Bridal Couture gown and cape – making a statement for its own high fashion reasons. 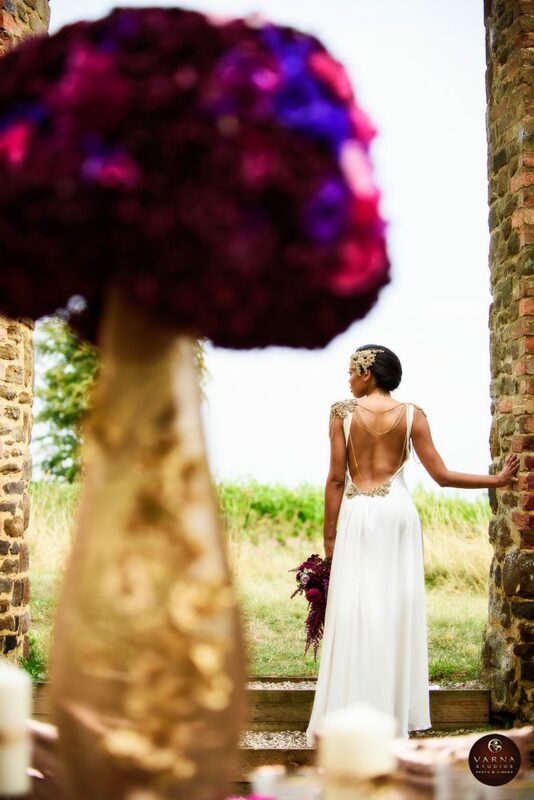 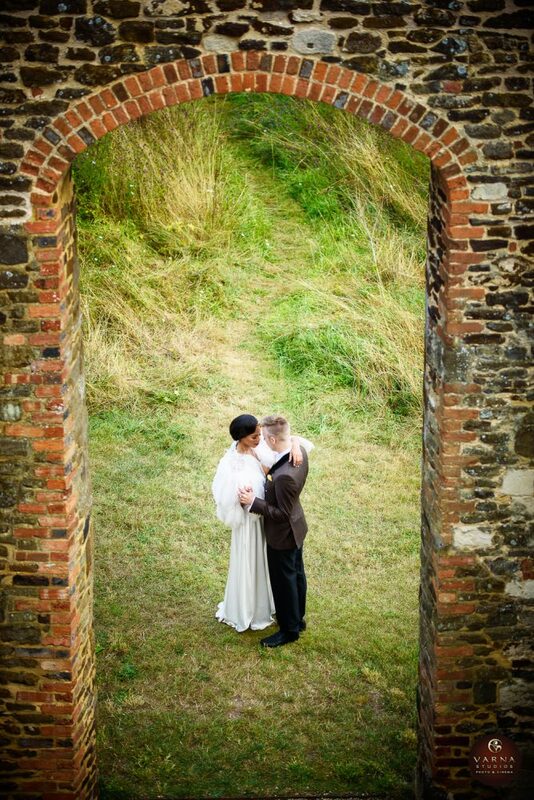 VARNA STUDIOS Photo & Cinema creativity shines through everything they captured the proof is in this dreamy gallery. 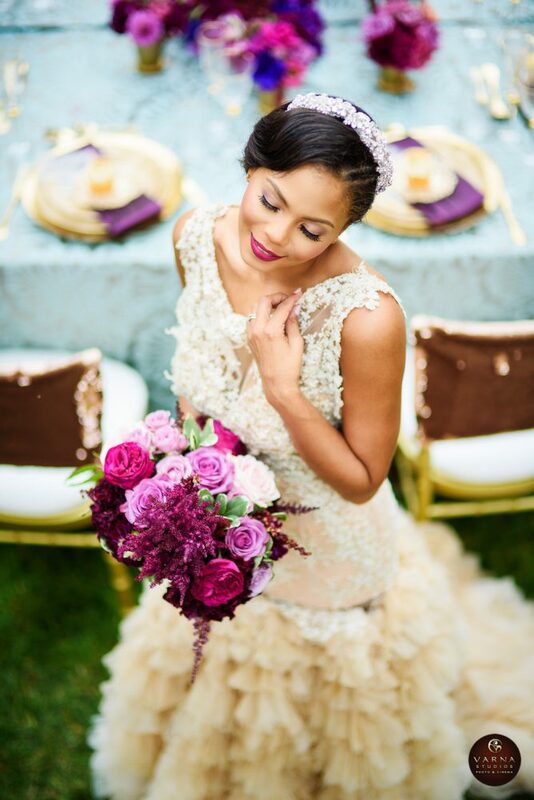 There is no denying that blush, all the airy pastels for that matter, continue to have a major moment in weddings today. 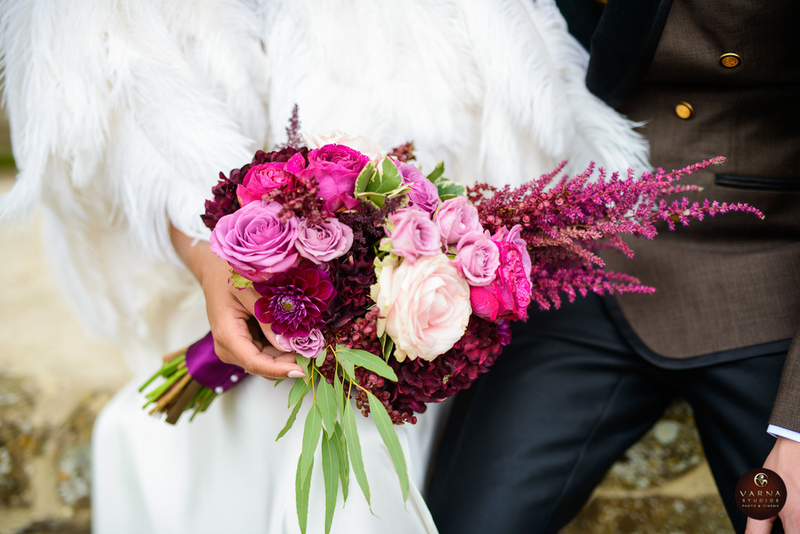 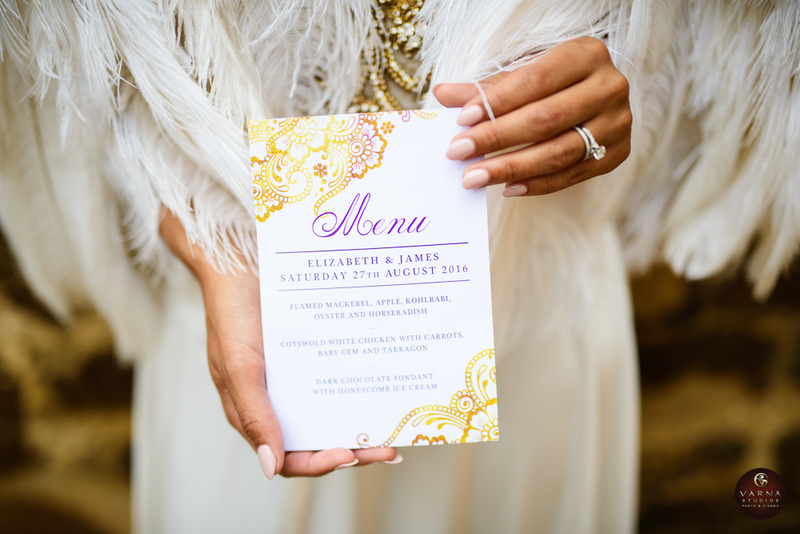 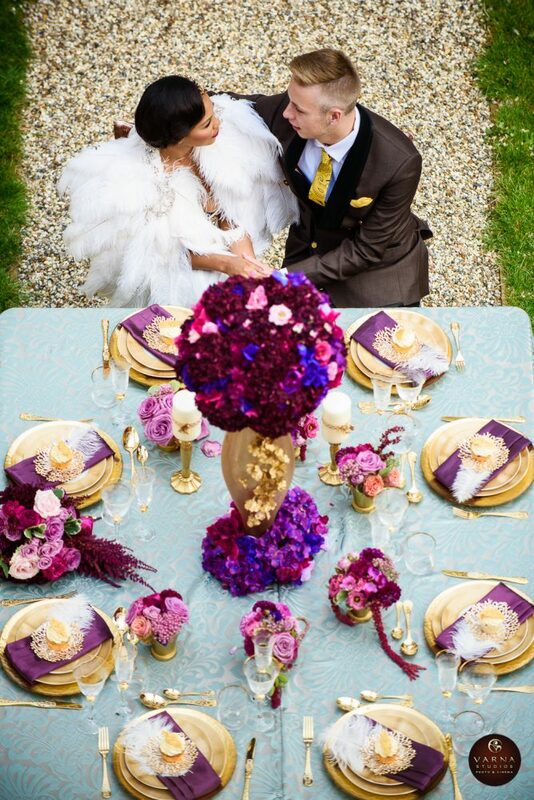 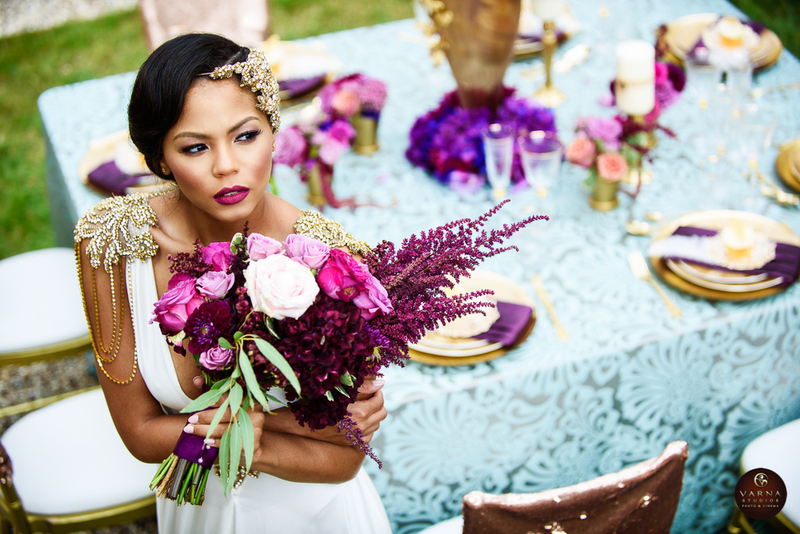 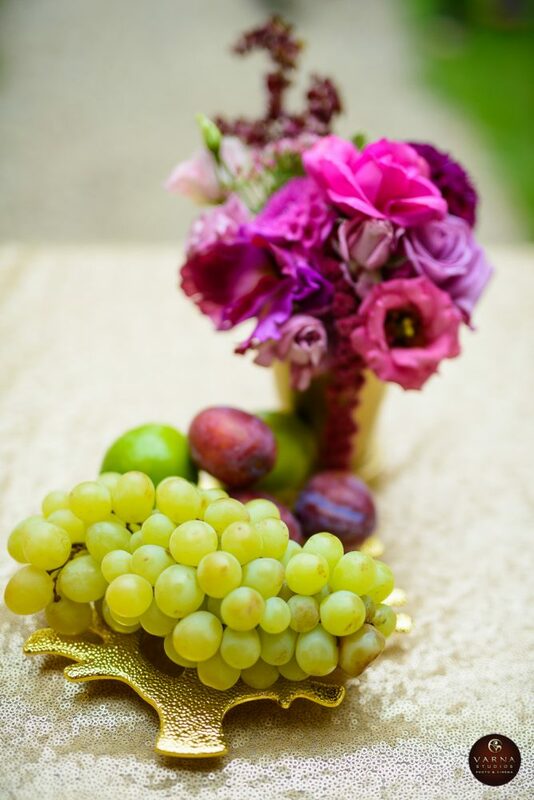 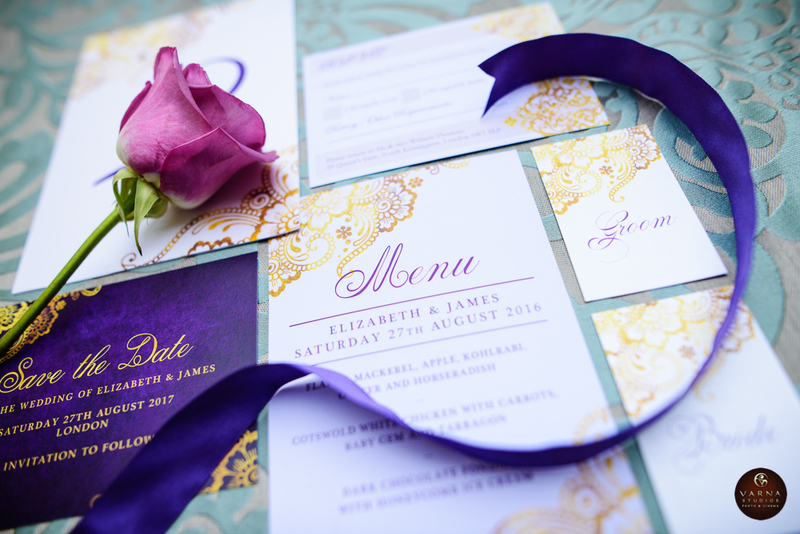 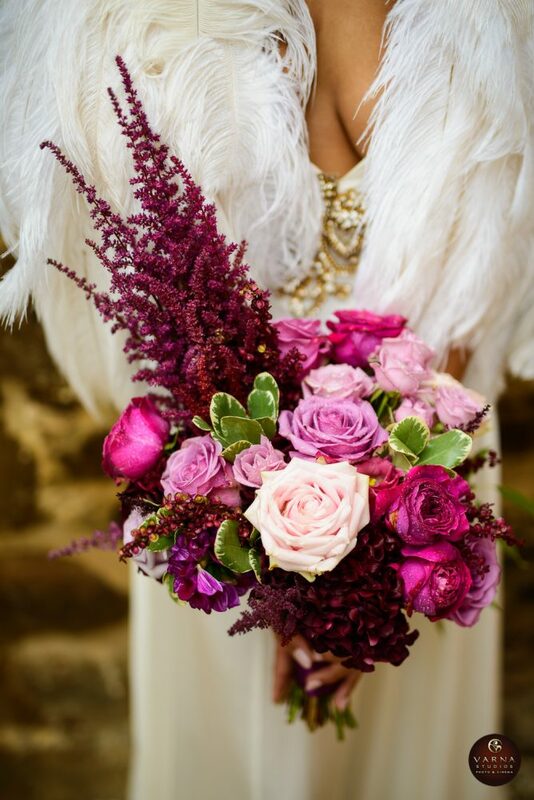 But, when it gets right down to it, a jewel tone wedding color palette gives you tons to work with in design. 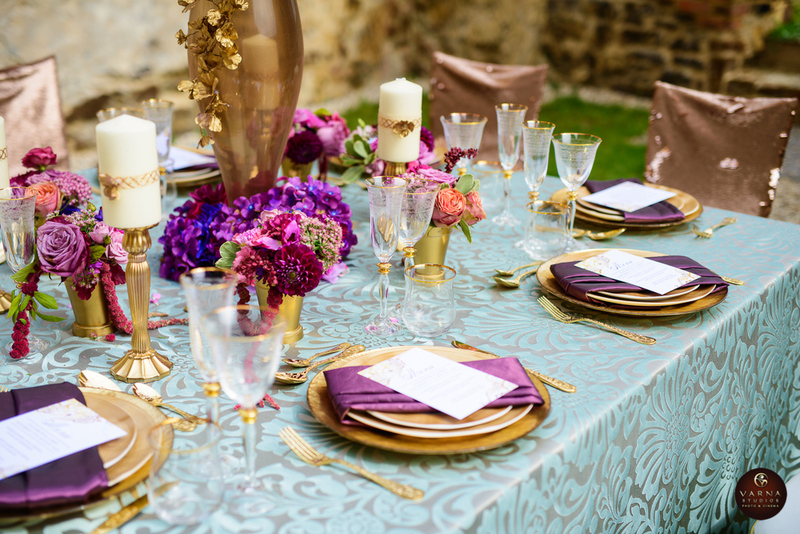 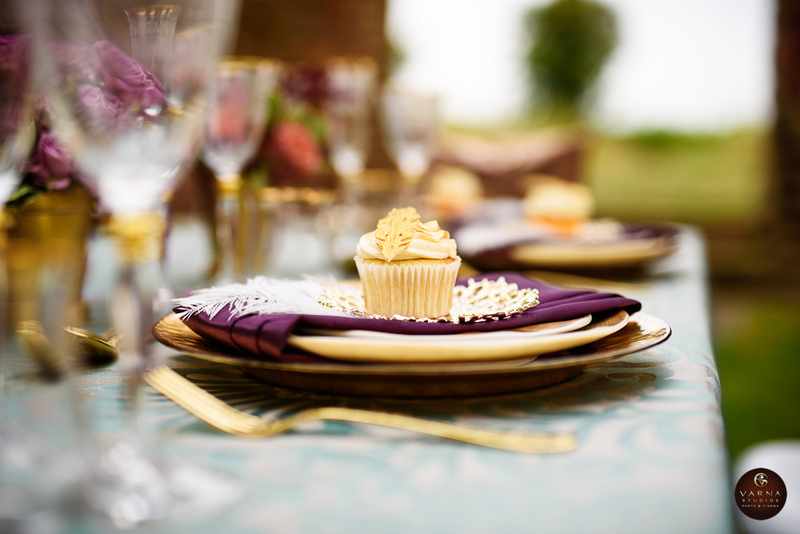 Take this tablescape with gold making a major impact. 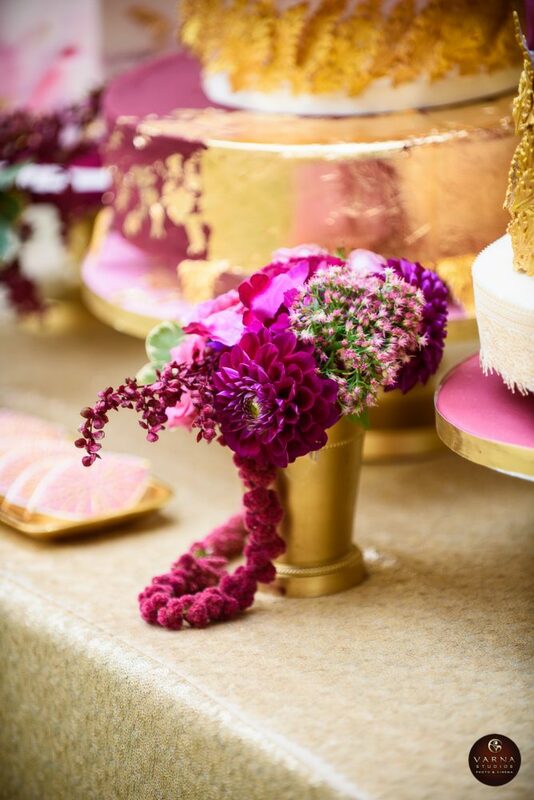 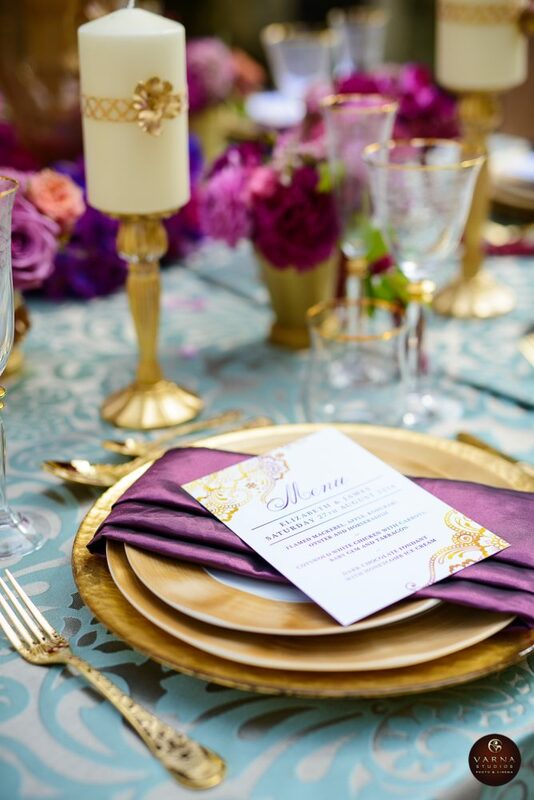 Using décor rentals from Dress It Yourself, the golden charges, plates, silverware and vessels don’t overwhelm as they are offset by the lush floral arrangements in highs and lows that Anaiah Grace crafted. 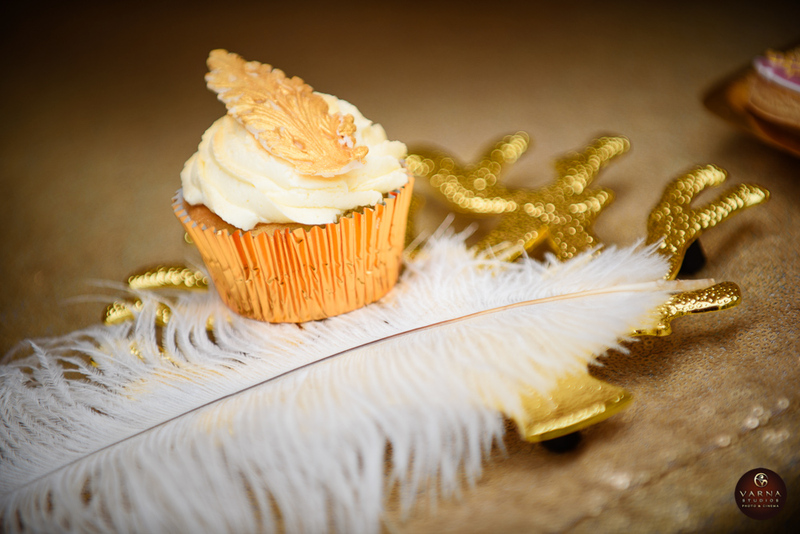 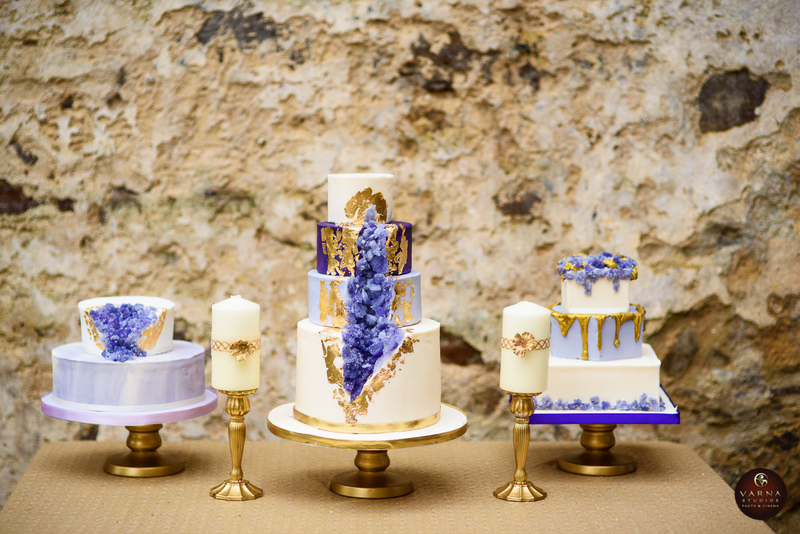 Vanilla Orchid Bakery lent her craft to the overall experience with not one delicious dessert scene, but two decadent sweet tables boasting six drool-worthy cakes. 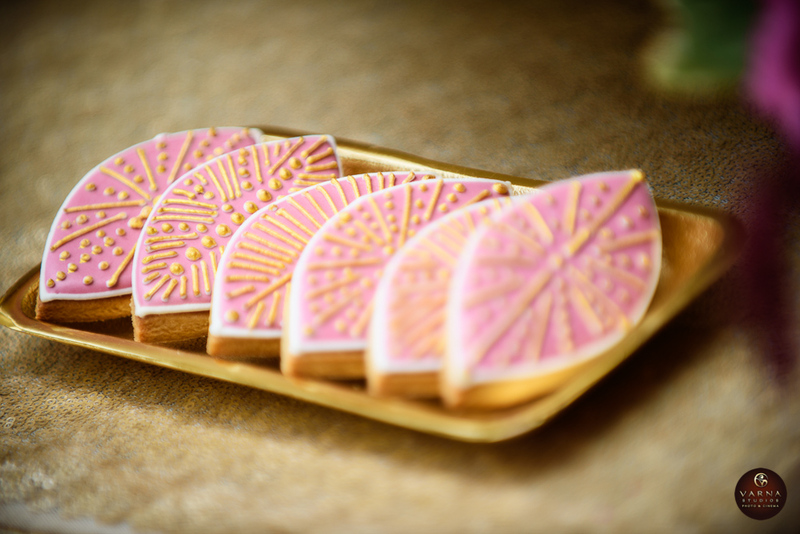 We would be happy to plunge our fork into just one of these beauties, certain to ignite taste buds. 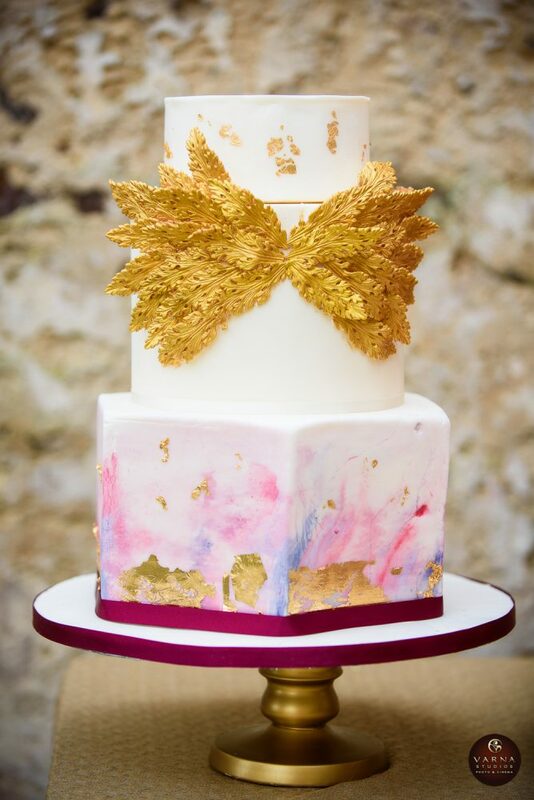 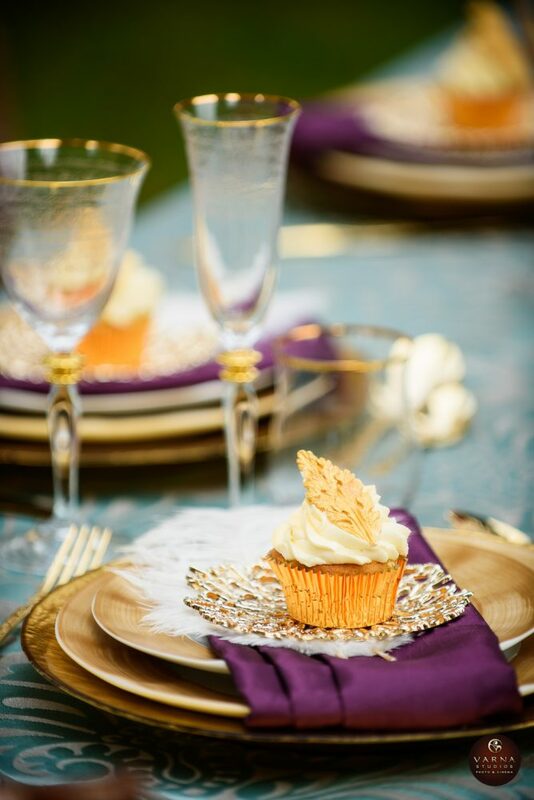 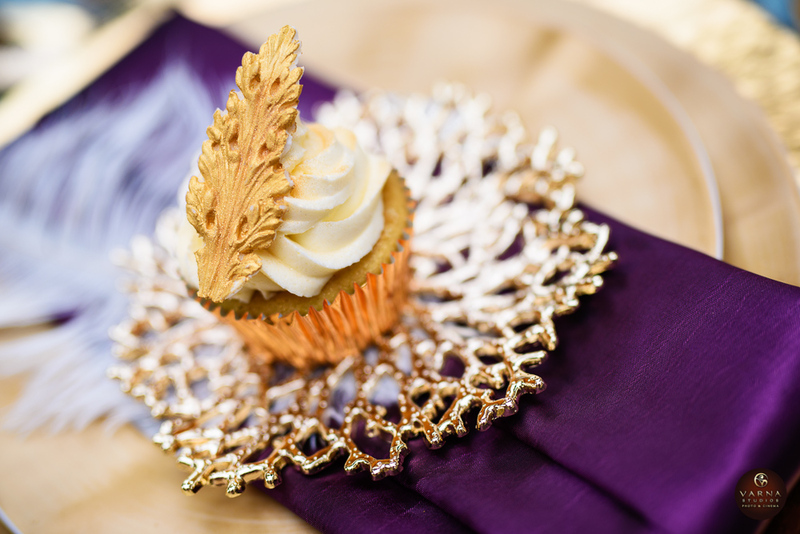 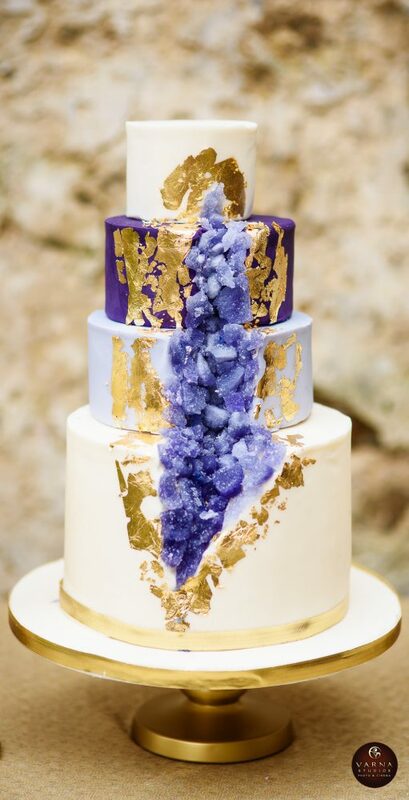 The lavender Geode cake with gold foil rocks with its edible sugar crystals. 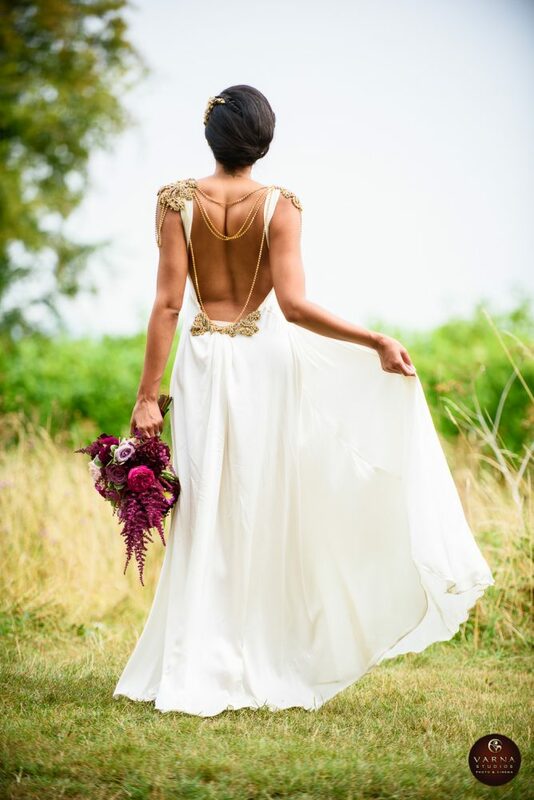 That brings us to the bride. 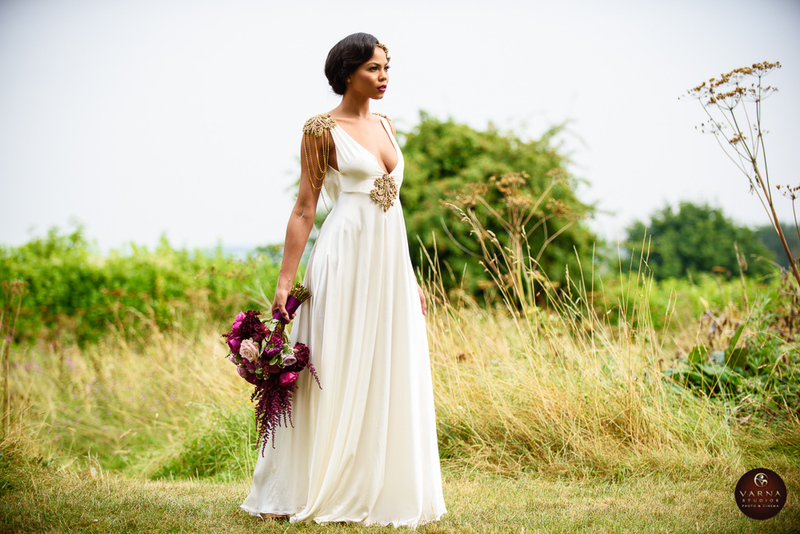 Where to even begin with this flawless Grecian-like goddess wearing two different looks of Ruth Milliam Bridal Couture? 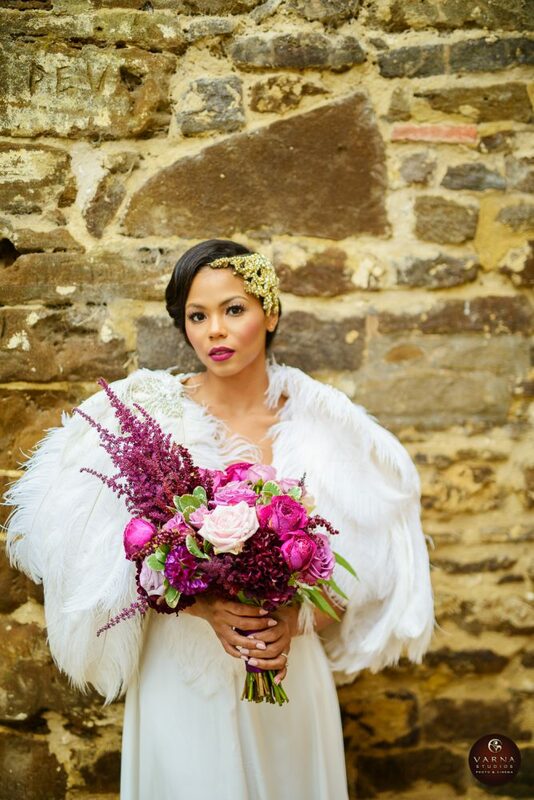 She channels the look of a fashion forward modern bride that deserves her moment in the spotlight. 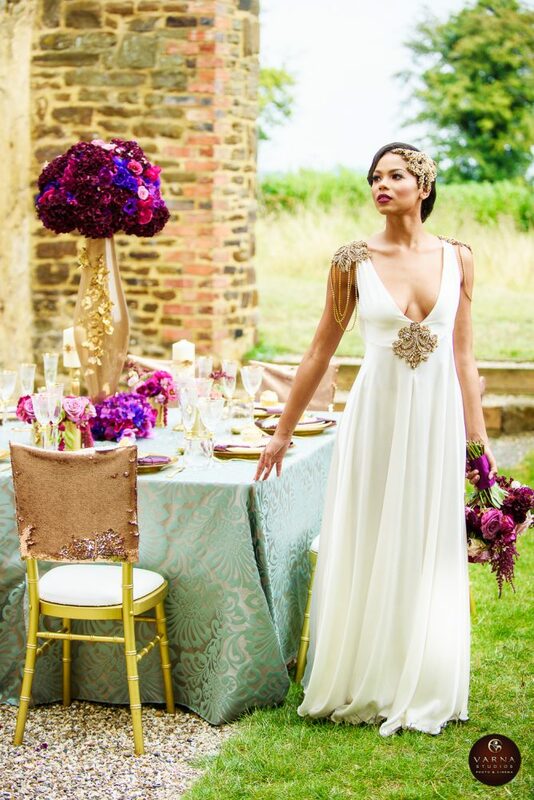 Magnificently handcrafted, these gowns and her accessories each have intricate details that sing couture and opulence. 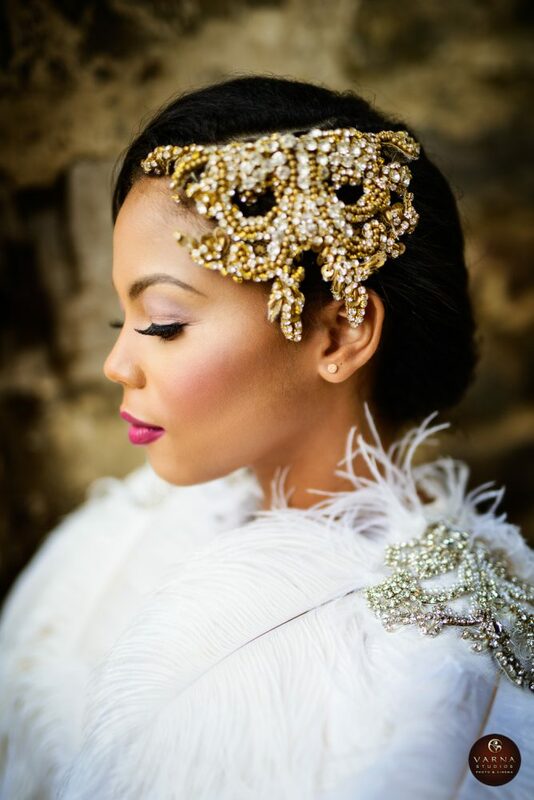 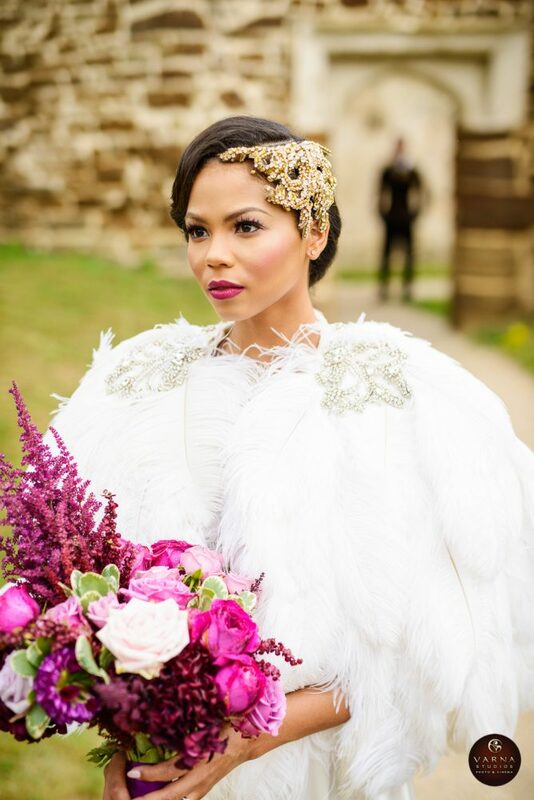 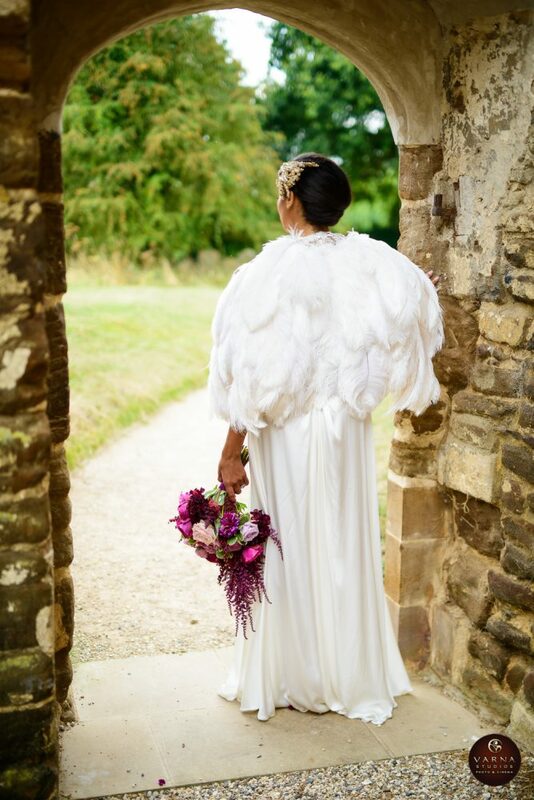 In her ostrich feather cape with gold and crystal headpiece, her bridal style oozes with a regal and opulent air perfect for any fairytale. 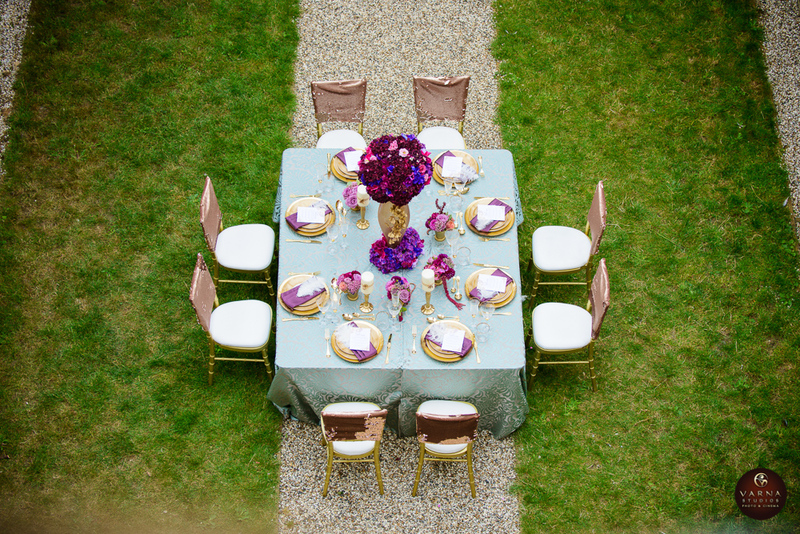 This pretty party scene is bursting with steal-worthy details and ideas.